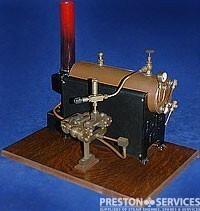 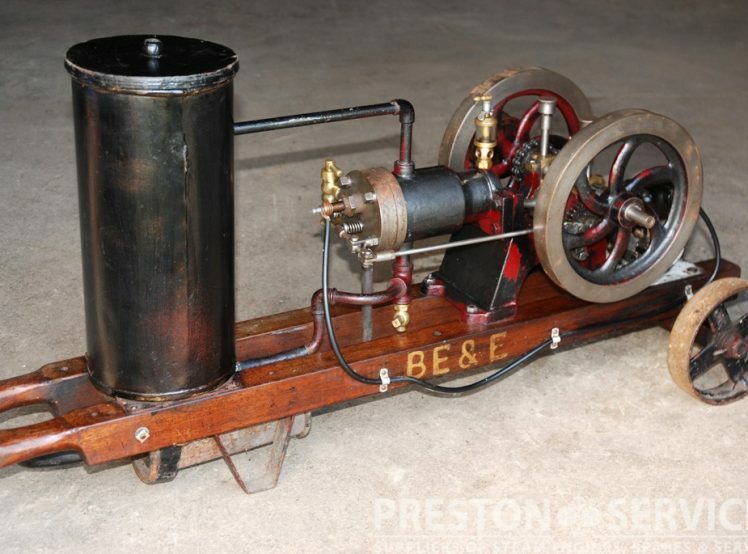 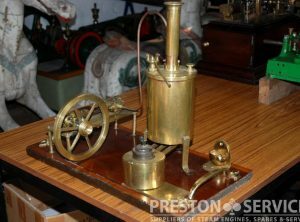 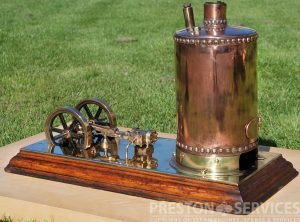 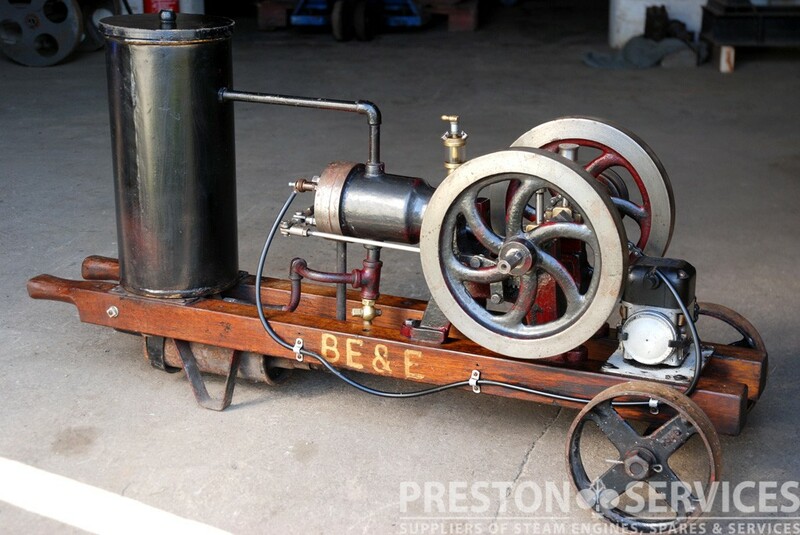 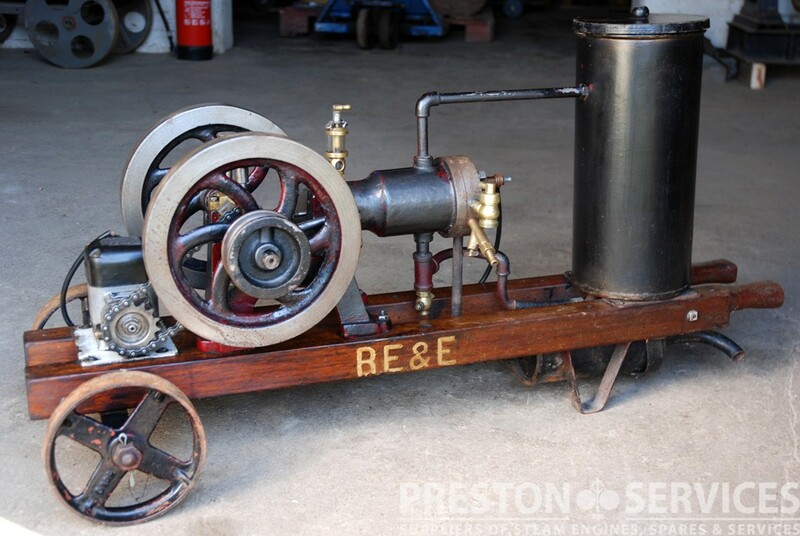 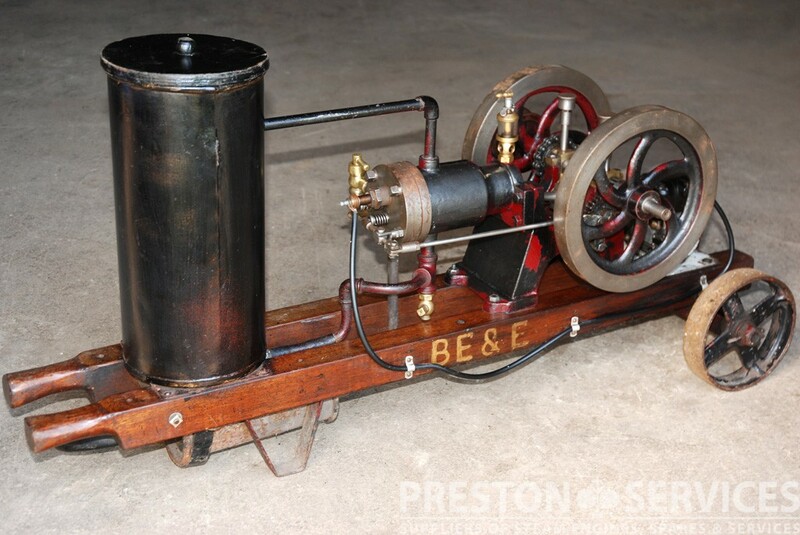 Hand made for display, this is a very nicely made miniature steam plant dating from circa 1900. 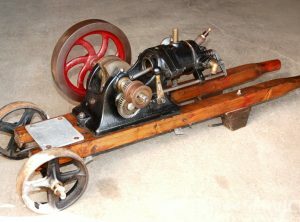 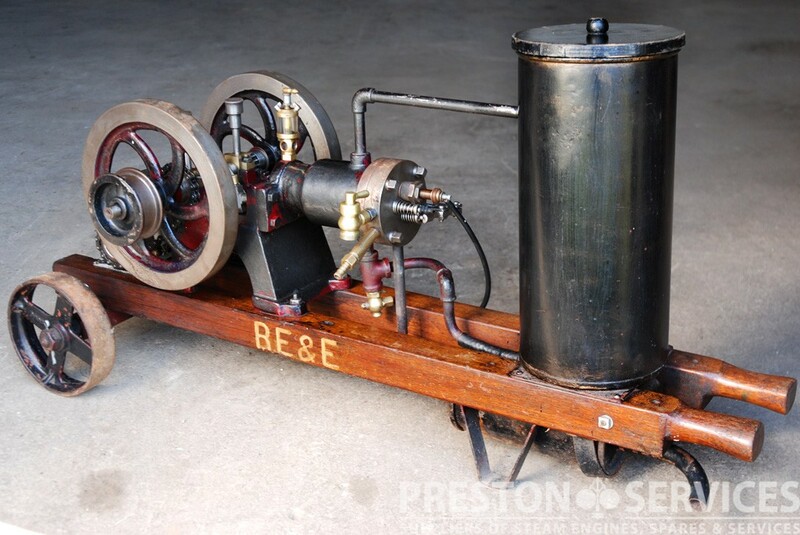 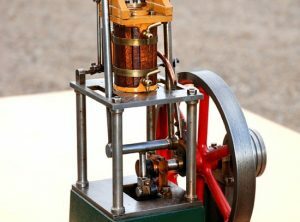 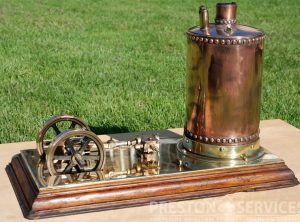 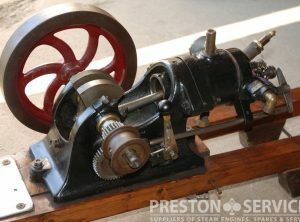 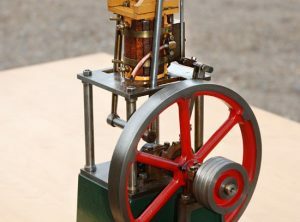 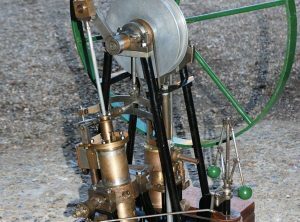 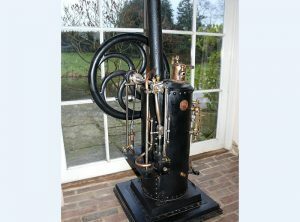 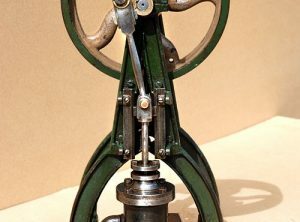 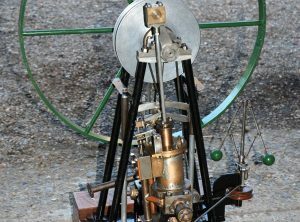 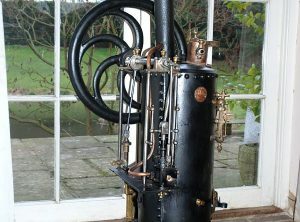 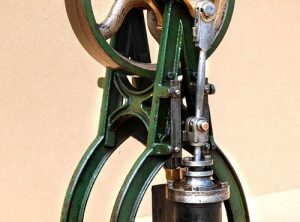 Comprises a vertical rivetted copper boiler (coal/wood fired) and horizontal single cylinder steam engine, both mounted on a brass and wood base. 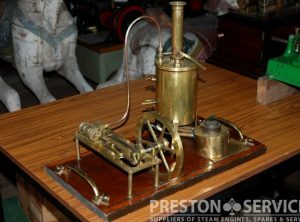 In very nice original condition, and a handsome display object.